Despite HP giving up on the HP TouchPad a long time ago, the Android development community continues to support it in the form of regular updates, stability upgrades and bug fixes to CyanogenMod – the premier custom ROM for the discontinued tablet. CyanogenMod 9 Alpha 2 is the latest version of the ROM and is, to be honest, a small upgrade over Alpha 1 but, understandably, a pretty big one over CyanogenMod 7 since they are both based on different versions of Android. If you’ve got a TouchPad handy and would like to try it out, check out our step-by-step guide after the jump. Now, there are different ways to do this for different setups. If you’re already on CyanogenMod 9 Alpha 1, you can simply follow our step-by-step guide below to update using ClockworkMod Recovery. However, if you’re installing CyanogenMod 9 for the first time on your HP TouchPad, you will have to check out the official guide on RootzWiki, which involves downloading five separate files and then flashing them using ACMEInstaller2. To get a feel for the difficulty level of installing CyanogenMod 9 for the first time, check out our guide on how to install CyanogenMod 7; both are very similar. Step 1: Download the CyanogenMod 9 Alpha 2 [Goo-Inside.Me Link]. Place this file directly under /sdcard directory on your HP TouchPad. Step 2: Press and hold power button. Tap Reboot > reboot to recovery to reboot to ClockworkMod Recovery. Step 3: From ClockworkMod Recovery’s main menu, navigate to install zip from sdcard > choose zip from sdcard > update-cm-9.0.0-RC0-Touchpad-alpha2-fullofbugs.zip. Step 4: After flash is complete, simply select reboot system now to reboot your device. 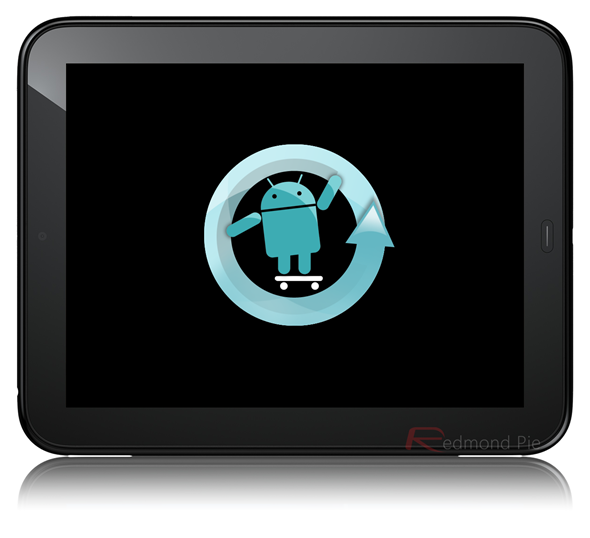 If you followed the steps correctly, your HP TouchPad will boot into CyanogenMod 9 Alpha 2 based on Android 4.0.3 Ice Cream Sandwich. Because this is an alpha, expect bugs and stability issues. If you want a more stable experience, you should install CyanogenMod 7 on your HP TouchPad which is based on Androi 2.3.7 Gingerbread. For queries, check out the official thread over on Rootzwiki. Thanks Steven for the hat tip!